Android Developers shares the newest Android platform distribution. And the numbers are both encouraging and disappointing for Google. 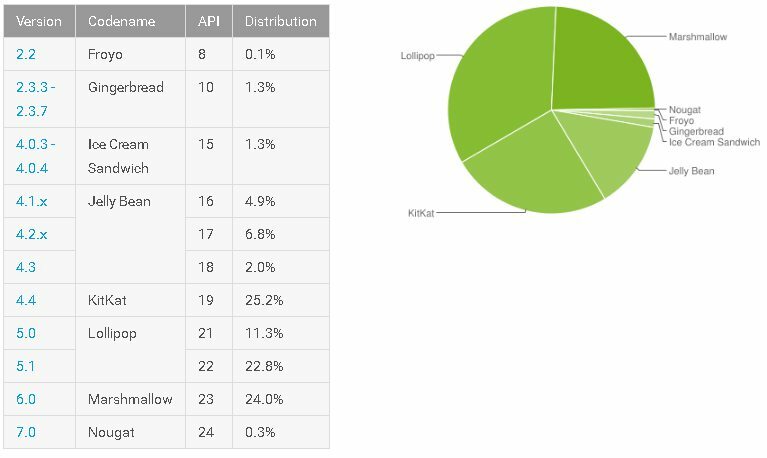 Android Nougat makes a debut for the first time with 0.3% market share, mostly counting on Google Pixel and LG V20 sales. Surprisingly, Android KitKat still rules at 25.2%. It shows the overall fragmentation that is still present in Android world. Then again, Marshmallow jumped from 18% to 24%. Second only to KitKat. By looking at the current situation, it might take a year or two for Google’s latest Android Nougat to reach the majority of users. Here is where Apple beats Google by the huge margin as iOS 10 is already running on over 80% of iPhones since its launch. Which version are you running? 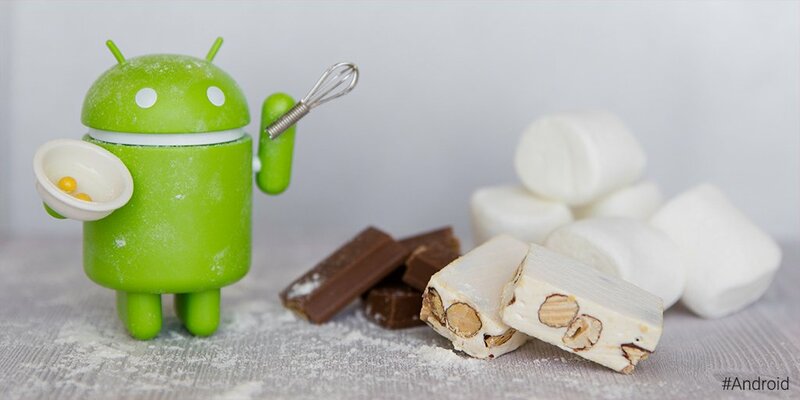 Do you expect to receive latest Android update for your current smartphone?